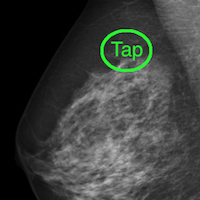 June 23, 2015 -- AuntMinnie.com presents the next article in an ongoing series highlighting notable mobile apps in radiology. In this installment, we take a look at Viewbox, an iPad app designed to help users view, organize, and present teaching file images from a variety of different sources. We chatted recently with Viewbox's designer, Dr. Luther Adair II, to learn more about the app. 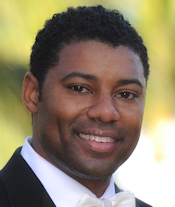 Adair is a radiologist and the CEO of app developer Viewbox Holdings. AuntMinnie: What inspired you to create this app? What problem does the app help solve? 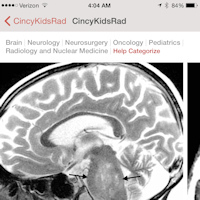 Adair: The app was partially inspired by memories from my childhood and partially by my own experience as a radiologist. When the iPad first came out, I was studying for the radiology oral board exam and I started using my iPad to review imaging files. As I continued to study, I began to brainstorm different ways of utilizing my iPad more efficiently to view and present medical images. Primarily, I wanted to create an app that can be used easily on the go and would allow me to avoid the inconvenience of having to hover over my colleagues during board review sessions. Growing up, I would occasionally go to work with my father, who was a radiologist. When I went to work with him, I became familiar with the traditional sound of a hanging x-ray film. This sound has always been enjoyable to me, almost nostalgic, so I incorporated the sound of hanging an x-ray into the app as a way to bridge the past with the present. Viewbox allows users to search, view, share, edit, and present images from several sources, including their Apple Photo Stream accounts through the iCloud, Google Picasa, Dropbox, and RSNA's Medical Imaging Resource Center (MIRC) server. Viewbox users can organize their teaching file images and create presentations. Images courtesy of Dr. Luther Adair II. Who is the target audience for your app, and how do you envision that it will be used? Our app was created with the radiologist, medical student, dentist, dental student, and medical professional (generally) in mind. Viewbox allows easy portability for teaching file images in the workplace as well as the classroom. 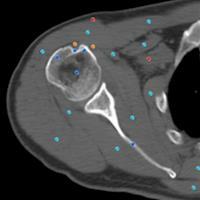 Teaching files are essentially the bedrock of radiology learning and education. 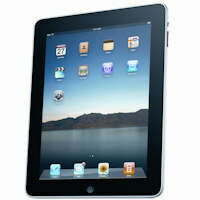 By using Viewbox, users don't have to rely on multiple storage devices for images. What are the app's most important features? Users can snap a photo of a cool case at their workstation, edit it, and save it in a HIPAA-compliant manner in their Viewbox app. Then, within seconds, the user can access a drop-down list of American College of Radiology (ACR) cases in Viewbox that resemble their cool case, and immediately get continuing medical education credits on the case. It's a more personalized way of approaching case-based learning. Dr. Luther Adair, CEO of Viewbox Holdings. How many users do you currently have for the app? There have been 2,600 Viewbox downloads since the app was released in 2012, and about 75% of those users have downloaded our most recent update last year. What are your future plans for the app? Are there any new features or content in the works? Do you have any plans to develop a version for Android? Our team has long held the belief that mobile imaging would be the most efficient technological vehicle for users to interact with and share medical images. Radiologists have evolved at a very rapid pace from using film to disks [and now] to digital media to view images. With our target market using mobile phones and tablets more than ever before, our company plans to expand the app across major mobile platforms, including Android, and app marketplaces, with a goal of making it accessible to every mobile user in the marketplace. 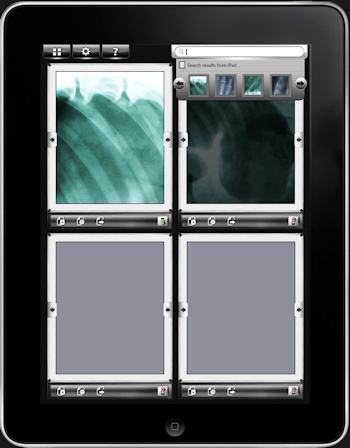 Other projects on the horizon include the generation of radiology subspecialty apps and a self-assessment CME tool tethered to Viewbox, given our already expansive in-app case reference library. This will allow all of our medical colleagues to tap into the huge educational potential of the app. Viewbox can be downloaded for 99¢ from the iTunes Store.